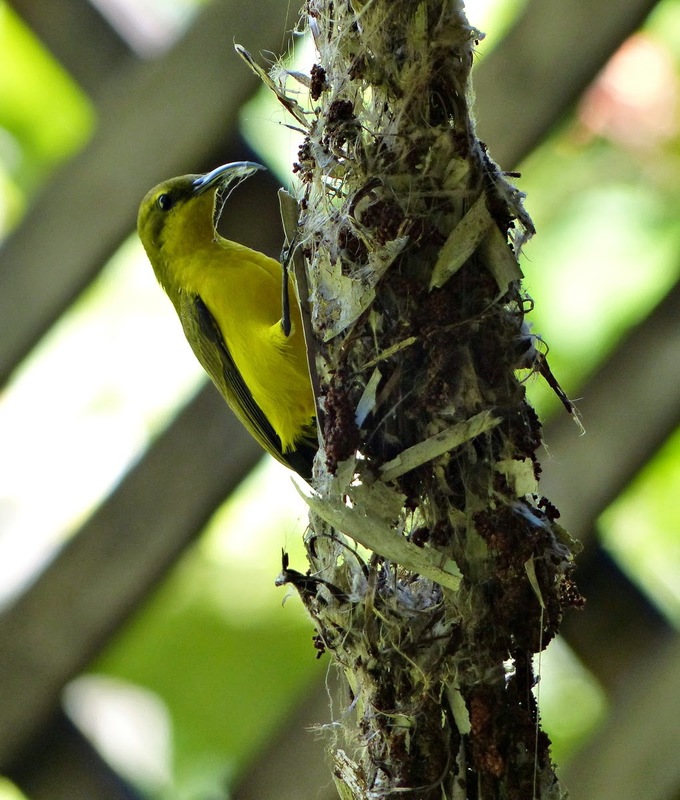 On the other side of the house, opposite our bedroom window, another nest is under construction and we love lying in bed listening to the morning news bulletin and watching the nest-builder. 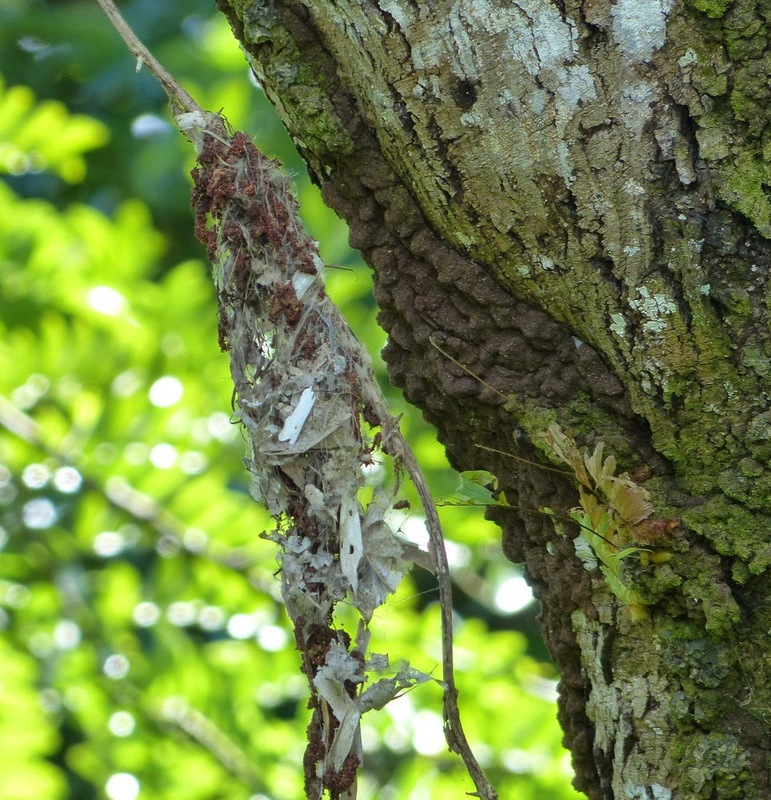 This time she has used a bit of vine hanging from an old tree. It's always the female who builds, supervised by hubby who has a shiny blue-black 'bib'.